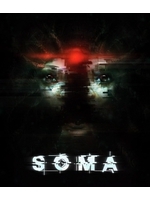 Frictional Games's great scifi horror game SOMA is coming to Xbox One on December 1st. Two years after its original release on PC and PS4, the game's arrival on Microsoft console will bring Safe Mode, allowing players to experience the mystery and atmosphere of PATHOS-II without the fear from hostile creatures. An update wil bring this mode to PC at the same date and later on PS4. I wonder if we'll see some ps4 pro support since it doesn't even work properly with the boost mode. No matter what, i still have to replay this. My favorite Horror experience this gen alongside Alien Isolation. One of the horror games I never got around to playing. Always thought the atmosphere looked great. Looking forward to giving this a try. Buys horror game, plays on safe mode. It's so they can brag they beaten a rorror game. It's like youtube let's plays but with a Box and "acheivements". Horror games are meant to be played in hard difficulties with the lights off and headphones on. I have installed a LED strip on the back of my tv and set it to a dim level. It reduces eye strain but keeps the overal mood intact. You're scared of horror games people? Good that's the point! I would guess that would be to bypass the frustration not the fear. I know lots of people that have zero patience for demanding games and quit early if they get frustrated. Could also be made to attract narrative games crowd from "Gone Home" and" Everybody 's gone to the rapture".